For the last few weeks, my family and I have been in a weird spot in our relation to the organization of the church. We’ve kinda moved. I don’t mean “kinda” in the linguistic filler type of way, or as a way to minimize the damage of a comment to follow. I mean we’ve kind of moved, but not completely. Since 2013, we’ve lived in Waco, Texas while I attended Baylor Law School. Upon graduation a year ago, I passed up a job offer because of a prompting from the Holy Ghost. Recently, I found a job and began working down in Austin during the week, driving back to Waco on the weekends, while my family finished out the lease. My family moved down and joined me in staying with my sister-in-law and her family. Due to various circumstances, we have attended church in three different wards since and have effectively been without a ward for a month. The old saying is, “the beauty of the church is that it’s the same wherever you go.” In my experience within the U.S. that's generally true, with allowance for local flair and preference. The doctrines taught in the Austin-area wards were basically the same as anywhere else. The people were friendly and often welcoming. But I miss having a ward to call my own. It makes me feel, perhaps for the first time, truly grateful for the geographic way we determine where our members attend services. I have friends of many other faith traditions. They often choose to attend congregations based on the time services begin, a particular pastor they find engaging, or often it’s the only place their faith holds services in town, among many other reasons. These are all completely valid methods for choosing which congregation of their faith to attend. Ours is just different. From ninth grade to my late twenties I lived in Gilbert, Arizona, a suburb of Phoenix. After my parents got divorced the second time, my father moved to Mesa, the next town over. He was able though to get a boundary exemption to continue attending our ward for the next several years. Even after my mom and siblings moved out of the ward, the ward let him spend a few extra months there before finally, and lovingly, giving him the boot. He attends his assigned ward in Mesa now and from what I know, feels reasonably at home there. The reason he stayed in the old ward for so long was because it was basically his family. The teachings were basically the same as any other ward. It was about as generic a ward as you might imagine, but it was his ward family. 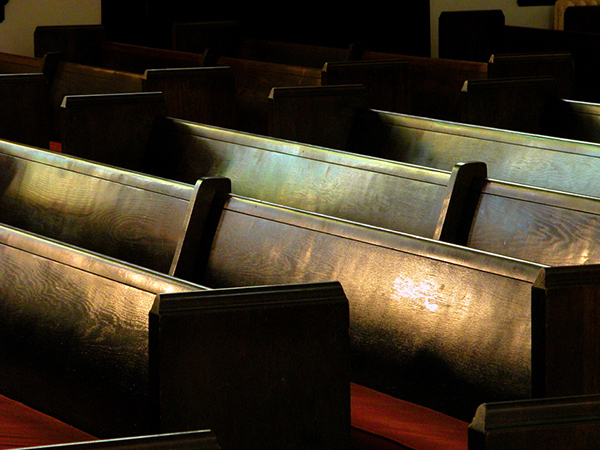 One of the beauties of the geographic model of church attendance is that it is like a family. For the time someone lives within the boundary, they are part of the family. We, living under one metaphorical roof, work together, rejoice and sorrow together, quarrel together and resolve quarrels together. Look, I know it’s not always as simple as that. There are members of our ward families that don’t attend. There are those we’ve effectively driven out by our devotion to law over people. We have spiritual siblings who don’t talk to each other anymore. Our people do occasionally and understandably take off to other families for needed space. Nevertheless, a ward is a place where we can hopefully be and belong and thrive. We are often thrust together with people we wouldn’t otherwise want to spend time with. When we serve in callings, be and receive visiting and home teachers, or quibble in intra-ward conflicts, we are usually stuck in that ward to figure it out. The figuring it out can be messy. The figuring it out relies, as all things, on learning to continually treat people as Christ would. We found a house in an Austin suburb this week. We will likely attend our new assigned ward this Sunday or next. To be honest, it’s a relief. It will be nice to be settled. I’m excited to have people whom I can love and with whom I can work. I am excited to meet new people with whom I can worship our Father, Mother, and Savior. I look forward to having a new, extended family. For all the frustration I have had over the last year with the Organization of the Church, today I am quite grateful for the organization of the church. Devin Fletcher is an attorney in Austin. He grew up in Oregon, California, and Arizona and served a mission in Orlando. He has a B.A. in English from Arizona State University and a J.D. from Baylor University. His wife is a whipsmart lady. They live in the suburbs with their two sons and her little sister. Devin loves punk rock and NBA basketball. He is a devout Hufflepuff and can accurately determine which celebrity would best portray you in a movie about your life. Twitter: @pockybotz.